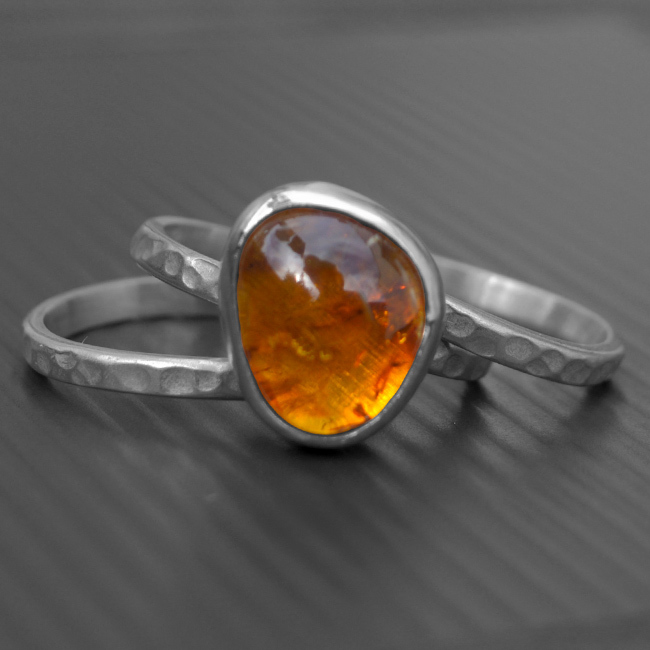 This stunning silver Amber ring is handmade using sterling silver. 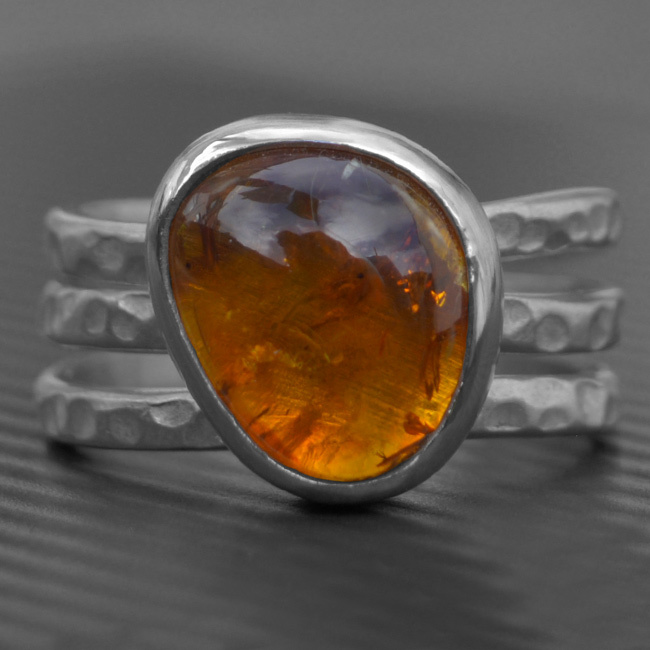 A hand cut odd shaped Amber is the hero of the piece, which is inset in a silver bezel and rests on a gorgeous textured sterling silver ring. It also sits between two hammered textured bands. The ring is more organic in design due to the hammered and oddly shaped bands. The delicately textured band is finished with a gorgeous flowing edge. SKU: N/A. Availability: In stock Size: 45 × 60 cm Shipping Weight: 0.3 kg Categories: All Jewellery, Rings, Ring, For Woman, Collections, Birthstones. Tags: amber, bespoke, bespoke silver, birthstone ring, commission, engagement ring, gemstone, handmade, handmade silver, jewellery designer, jewellery maker., organic, ring, silver Amber ring. I contacted Lisa to make a bespoke ring for my girlfriend’s birthday. I already had a design in mind which she took on and produced this beautiful piece. I was very particular about the design but she listened to me to me every step of the way. Lisa is very approachable and as you can see from the ring, very talented. Sam (now my fiancé) absolutely loved the ring. Lisa will definately be making our wedding rings! Thank you.